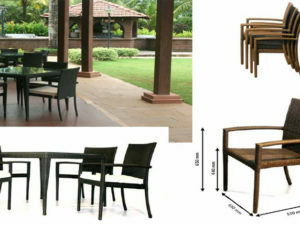 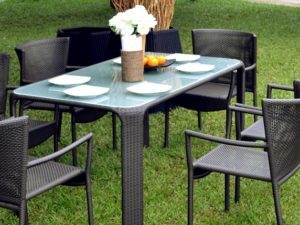 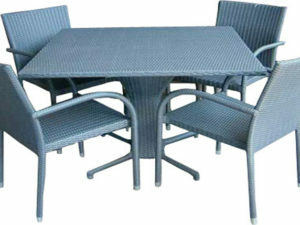 Fern Dining Set consists of several parts, viz. 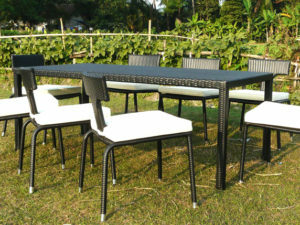 4 Fern Arm Less Chair with Cushion in Dimension 92 cm (h) x 47 cm (w) x 61 cm (d), 2 Fern Arm Chair with Cushion in Dimension 92 cm (h) x 47 cm (w) x 61 cm (d) and 1 Fern Dining table with 8mm Regular Glass 75 cm (h) x 192 cm (w) x 90 cm (d). 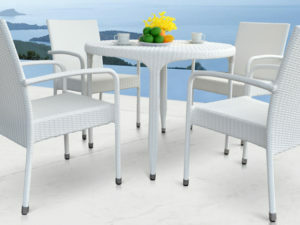 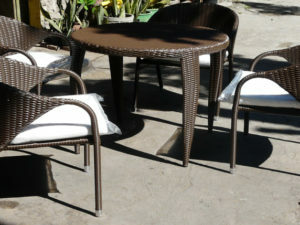 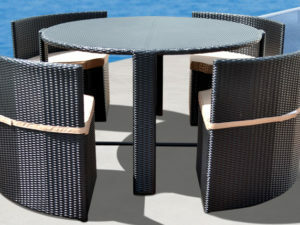 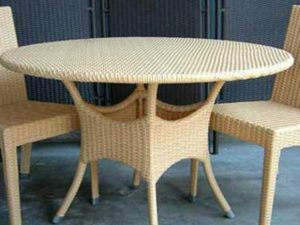 Fern Dining Set woven by synthetic rattan in White Color and Red color in Cushion.